SAN FRANCISCO (KPIX 5) — Every day oil companies in California dump millions of gallons of wastewater underground. Most of it is getting injected deep under the Central Valley, which also happens to be the state’s agricultural heartland. 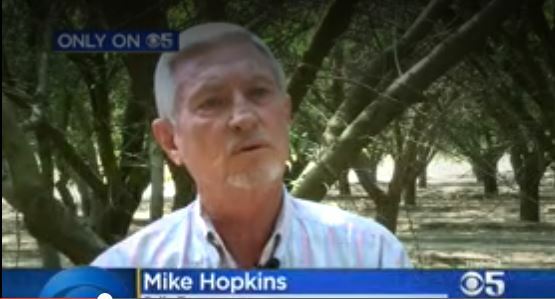 Now we’re learning some farmers, like Mike Hopkins, suspect that wastewater might be what’s killing their crops, and impacting our food supply.